its silhouette is to the Tree Following emblem. The morning was sunny. I set out to photograph my tree. I arrived. The sky had clouded over. The world was in black and white. Ok. We'll go with this. We'll have a proper silhouette. I've chosen my tree with my heart rather than my head. I don't know what kind of tree it is. I can't reach its branches. I can't reach its needles. There's no interesting undergrowth around it. It's not in a photogenic location. I can't remember any bird sitting in it. It's falling to bits. It may have to be felled before the end of the year. It may have to be felled . . . that clinches it. This may be the last chance we'll have to get to know it. There are many of the same in the area. I'd guess they were planted at roughly the same time. They are in parks and in gardens. 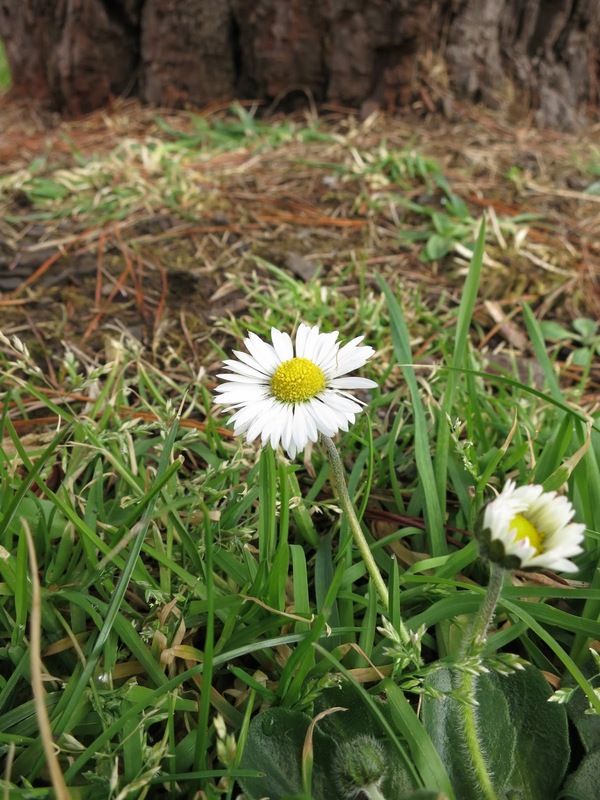 This one is on a patch of grass in front of a block of flats. It's a kind of pine (I think). When you look up into its remaining branches you can see its cones. They are about six inches long, heavy and very dense. A friend has tried to grow a new tree from the seeds of several - never with success. The needles are long too (about four inches) and grow in bunches. The bark is chunky, irregular and layered. When dry it's grey. When wet its colour is richer - with tints of conkers. There are webs in its fractures - so there must be spiders. It weeps resin. See the fallen needles leaning against the bark on the left of the picture? Above ground, the trunk is supported by what I think of as toes. Alongside them and around the tree there are plants. I hadn't expected plants. I'd expected sparse grass. There were docks and daisies, plantain and chickweed. Roots have broken the surface. Although you may not be conscious of it, what you hear when you visit a tree will influence how you relate to it. Trees inspire emotions and emotions are inspired by sound as much as by sight. The only means I have to record sound for the blog is by taking a video. So that's what I've done. 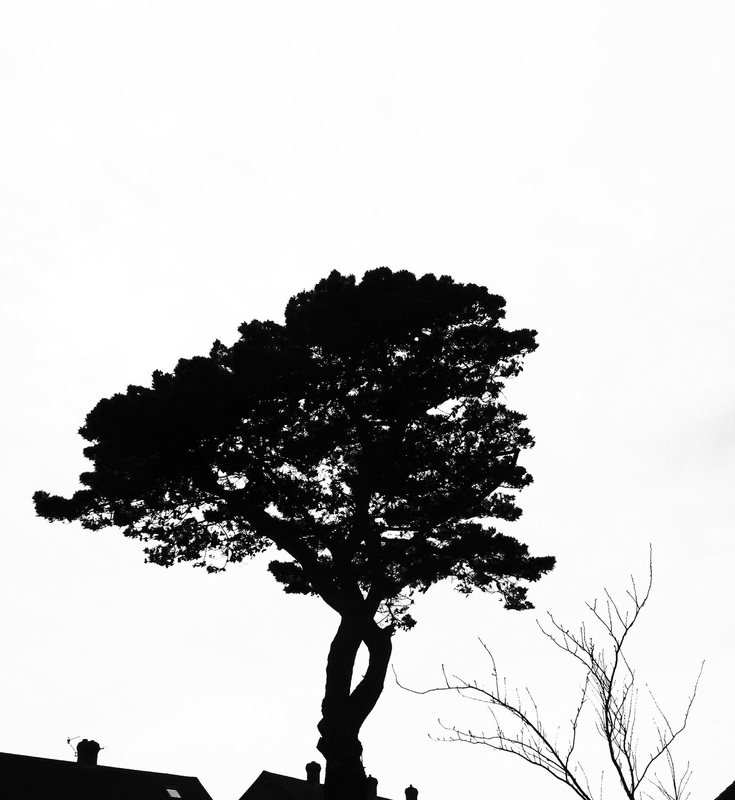 It's not exactly action packed but it gives the tree a context; there's a car, a crow, voices, gulls. Here it is on YouTube - Click! the tree despite the spread of its branches. All I need to know now is what kind of tree it is. For the moment, I'm calling it Freda. I don't know why it looks like a Freda. It just does. So, having decided on its name I set out (irrelevantly, I admit!) to find out what 'Freda' means. Maybe 'peaceful ruler' or 'elf-strength' say the baby-name sites. (I'm not always sure whether these meanings are real or made up and my knowledge of mediaeval saxon doesn't exist - does anyone know?) Pottering further through the internet and away from my tree, I found an Elfrida who was Queen consort to Edgar, King of the English; roughly 957 - 975. (It's complicated.) King Edgar? Never heard of him! I know I'm wandering from my tree but they were a 'right lot' in those days and while I've not read this book about her its synopsis on Good Reads gives the idea! Indeed Elfrida would have made a good founding member for the League of Wicked Stepmothers. She had one of her step-sons murdered at Corfe Castle so - Dorset! Strength! Peace! Freda it is! It's an old fashioned name. If we ignore less pleasant associations, perhaps it's due for a come-back. Are you following a tree? This post is part of the Tree Following project for 2014. To find out more about it, go to the Tree Following Page. Tomorrow (7th March 2014) there will be a Linky box. If you have a post about the tree you are following you will be able to leave its URL there so other readers will be able to find it easily. If you haven't used a linky box before, don't worry. It's all very straightforward and obvious when you see it. If your post isn't ready yet - no matter. The box will stay 'open' for a week. Easy to remember - open for 7 days from 7th of every month from now on. P.S. This tree is very tall. I'm no good at guessing heights. Carole at La Fosse has used trigonomtery to measure the height of the chestnut tree she's following. That's beyond me. All I can say is that 'my' tree is very tall but not as tall as hers! Well, you seem to have bonded with your tree already. Indeed, what better way to choose than to simply fall in love? And, your tree does seem to need love, threatened as it is with extinction, placed in rather unprepossessing circumstances and 'weeping resin'. Trees are so majestic. Quite the finest form of gardening and they deserve to be protected from the ravages of the modern age. Perhaps with your tender loving care, your tree will blossom once more and grow tall? We do hope so. And, as for our Teddy Bear.....known and loved by us as Teddy....well, he goes to the Opera and concerts if he has been good. In general, he does not get out much because he is rather naughty but when he does accompany us, he is good value in establishing contacts with the most interesting and strangest of people. Perfect! Hi, Jane and Lance. I'll have to adjust the post. The tree doesn't need to grow tall - it's already massive. I wish I were good at guessing heights! That sure is an impressive tree. With cones that size it sounds like a hard hat is needed to prevent being brained! Regarding it's height if it's near some flats they should provide a guide. I look forward to reading your tree following posts with interest. Hello Flighty. Good idea. I don't like showing other people's homes on a blog without permission so don't want to use the flats as a background to the tree - but I shall go and count the floors. I didn't think I'd like it when I saw it was a conifer - but oh! that wonderful bark! And the chickweed! Lovely! And I'm sure you knew I would look up the name: Freda allegedly means "Elf strength, good counsellor. From the Old English name Aelfthryth." You may have got yourself an Ent! Hello Papaver. Delighted you'll be joining us. Looking forward to learning about your quince. I very nearly chose a similar tree - yours definitely deserves your attention. As I am still on holiday I will be a little late to the party but will still be able to make the time limit I hope - just one question - can I follow a hedgerow which is special to me, rather than a tree. If this is out of the question then I do have a tree alternative. Hello Elaine. Hope you do beat the time limit! As for the tree - it really does need to be a tree and an individual rather than a species. But what is around it is included. Is there a tree in your hedgerow which you could follow so you can include the plants which grow beneath and around it too? I'm not sure what the definition of a tree is. It's quite flexible. A buddleia for instance, is sometimes a bush and sometimes a tree. Maybe it has to have a woody stem? I'm not following a tree. You certainly picked a great one to follow. The things this tree must have seen. I love the textures and how gnarly it is. Very nice photos (as always). Thank you, Lucy, for your message on my blog. I'm all ready for tomorrow ... providing my first ever attempt at the Mr Linky box works! What an interesting tree you have bonded with! 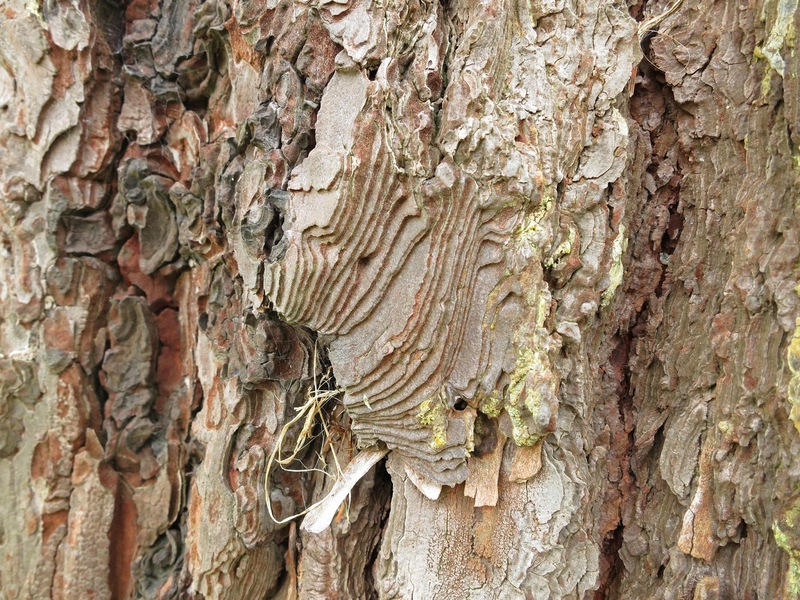 Hi Lucy, what a great tree you have chosen to follow, great pictures of the bark! Thanks for hosting the meme, I will be back next month where I will explain a very easy way to estimate the height of a tall tree. Following a tree...I watch trees often throughout the day from my apartment....Branches lopped off in monsoon winds, recalling the year it was planted or already here when I came. Your posts are inspiring and lovely. Thanks so much. Sounds like a pretty good way to choose a tree to follow, with your heart, and Freda is a fine name, whatever it turns out to be. I hope your tree surprises you by surviving for many years to come. The sun has just peaked out so am off to photograph my hawthorn and put a post together. I love the tree you are following...I will try to pick one soon but for now , I am still focusing on the ash trees in my garden. What a fine tree Lucy and an apt name. I hope that it is still there for years to come. I'm ashamed to admit that when it comes to trees I'm pretty clueless about what is what especially when they loose their leaves. I hope to post about the tree I've chosen to follow in the next couple of days. Thanks for hosting this meme - it is a great idea. Can't promise I will manage every month, but will do my best especially if there are any changes. A tree is something you can sit under, big enough to provide grateful shade for a little bench - is my way down south definition. Your tree looks like the stone pines which are invasive and a fire hazard for us. Coming from the capital M Mediterranean. But you bring back childhood memories of the naturalised forest of pines we walked in. Those cones hold pine nuts - used in French and Italian recipes. Delicious but frighteningly expensive if shop bought. Hello Lucy - I've been trying to identify your tree. 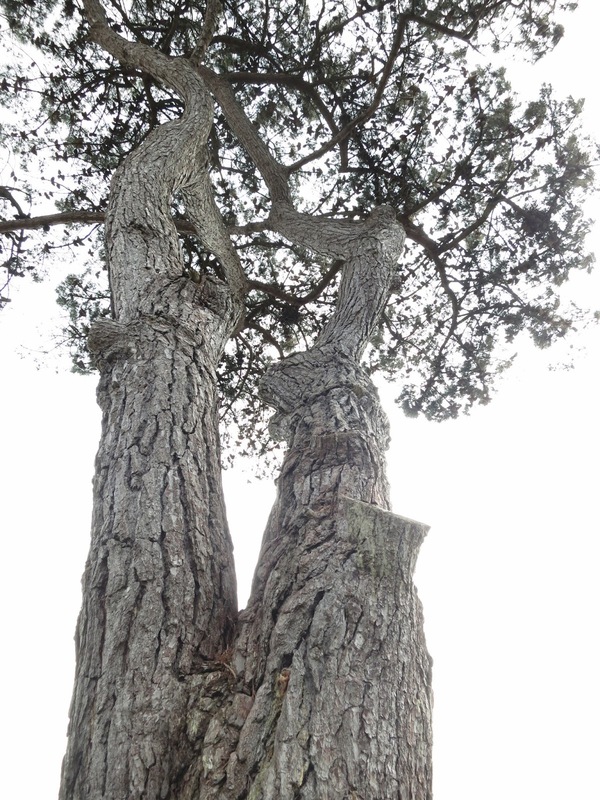 Do you think it might be a Scots Pine? 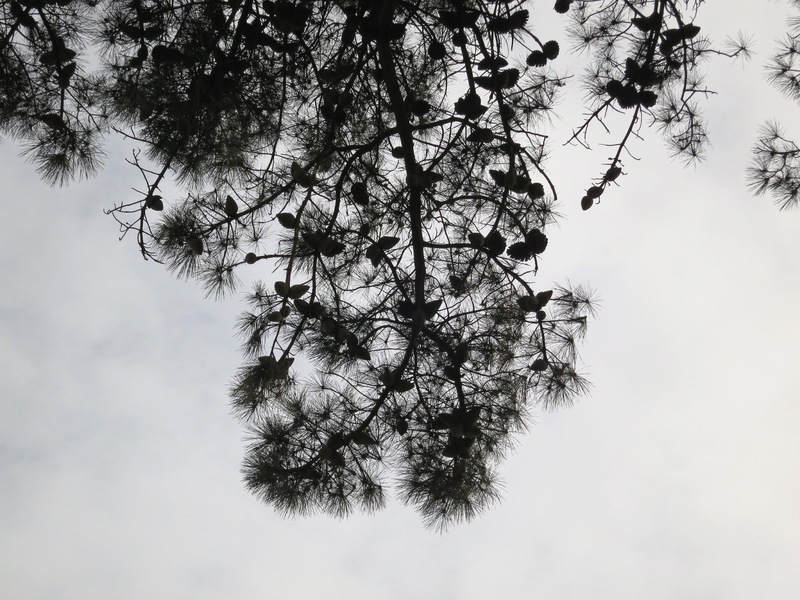 Pinus sylvestris? This is a great idea! The tree I'm following is in my side yard near Denver Colorado. I rarely see this tree as we drive up to our house from the opposite side. Now I'll record it's beauty every month. Hi Lucy , good choice of tree. It is very photogenic and looks as if it has weathered some rough storms !Looking forward to seeing it throughout the changing seasons. Dear Everyone. There's been such an overwhelming response to the Tree Following idea I've been so busy adjusting the list, adding new names, newly chosen trees, the places they grow . . . that I've let myself get behind with replying to all your very much appreciated comments. I'll try to do a bit of catching up over the next few days. But even if it takes me till 2017 before I say hello (I couldn't even pretend to be efficient!) please do know I enjoy reading everything you say. It's always a pleasure to open my inbox! Hello Pat. It wouldn't be practical to follow a tree given how far you travel. But the trees you meet on your way through deserts and rocks and abandoned places . . . pretty spectacular and thoroughly amazing survivors they are. Hello Caroline. Not only did the Link Box work - but your tree following has turned into a massive nature observation project. It's fascinating to read your blog about so how very much happens on and around your tree. Hello Helene. We are gradually getting the wrinkles of a new project sorted. The link box will open at 7am (UK time) on 7th of every month and close at 7pm on the 14th. I'm still getting used to using the system. The second box opened at the right time. We have yet to see if I set it properly to close at the right time too! Hello Linda. My tree is so old, it is falling to bits. Yours is right at the other end of its life. Hello Mixed Blessings. Trees are clearly the keepers of your memories. Have you thought of joining us and following a tree of your own? Hello Jack. I came across a little sycamore seed on one of my walks. It had germinated and was putting a root into the soil. I'd hoped it would grow so I too would be able to follow the life of a tree right from its beginnings. But it had fallen on a mossy patch which, while damp, covered stone so there was no sustenance there and it withered and failed. It must be wonderful to have grown your own seed and to have the tree still there twelve years later. Hello Laura. I'm glad you have chosen the hornbeam. There's so much character to it. I think it will grab your affection and interest in the way the laburnum couldn't quite manage, however pretty. Hello Donna. I'm glad you settled on a Silver Maple. It's so rich in wildlife. Although I know many plants and creatures depend on trees for their sustenance, when you list what happens on an individual tree - as you have done - it brings brings arid knowledge to life. Hello Anna. I'm no use at identifying trees - except for a few well known ones. Even then, I realise I sometimes confuse oaks and horse chestnuts when they are standing alone in a field. Hello Annette. No need to commit to how frequently you post about your copper beech. I'm sure you'll give us a good idea of how your tree progresses. Looking forward to it! Hello Diana. Pine nuts are expensive here too. I've seen them listed in recipes but have never tried any. Hello Judy. Yes. Herring Gulls I think. I'm wondering whether there's a way one can find out how old a tree is while it's still standing. Perhaps the council holds records for planning purposes. I'll have to investigate. Hello Carole. I don't think it's a Scots Pine. I took a look at pictures after your suggestion but I think this tree bundles its needles while Scots Pines have them spread evenly along the twigs in the way Christmas trees do. That's great, Dawn - to put a little observed tree into the limelight!